AIS follows the British system of education leading up to Edexcel IGCSE O’L and GCE A’Ls. The school offers a wide range of subjects and encourages diversity. 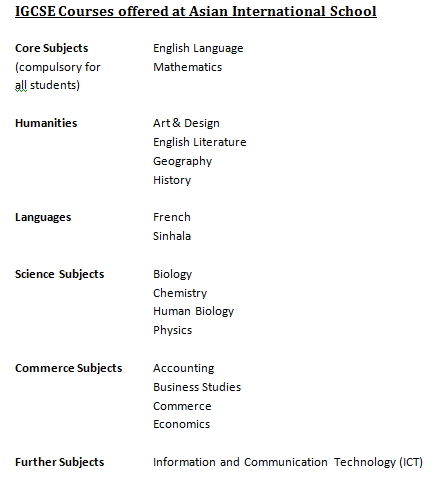 The A’Level Examination is now divided into modules. Most students will sit for the AS exam at the end of the first year. Exam times are in June. AIS offers one of the widest choice of subjects in the International Schools of Sri Lanka. Students could select one subject from each section.